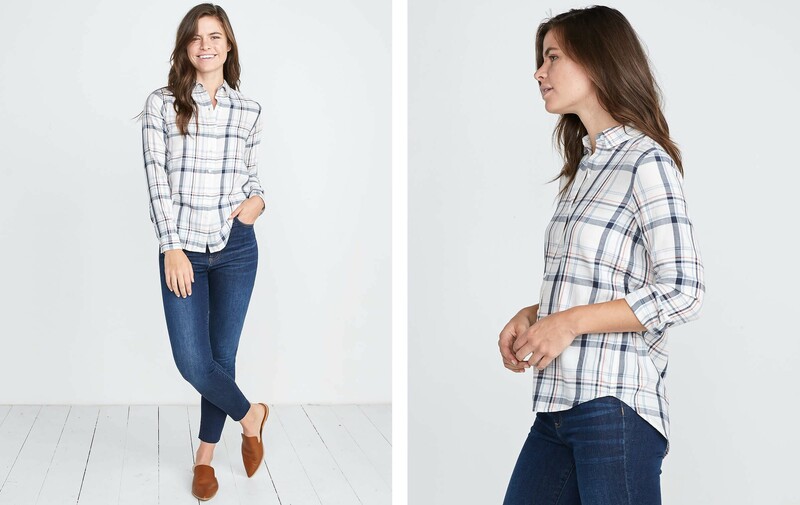 A soft, feminine buttondown in a custom plaid we designed oursleves, so ya won't find it anywhere else. Featuring a saddle hem so it looks cute if you decide not to tuck it in. A soft, drapey fabric that'll wear in and face nicely over time.